Following an ambitious Fall 2012 collection that included hand-painted twists on classic styles, a collaboration with the iconic London department store Liberty, and the limited-edition Nippon Made series of US$300 handmade leather shoes, Onitsuka Tiger considerably pared down its offerings for next season. The Japanese company decided to continue its collaboration with Liberty of London, with retail price points hovering in the $75-80 range for styles incorporating Liberty’s signature floral prints. 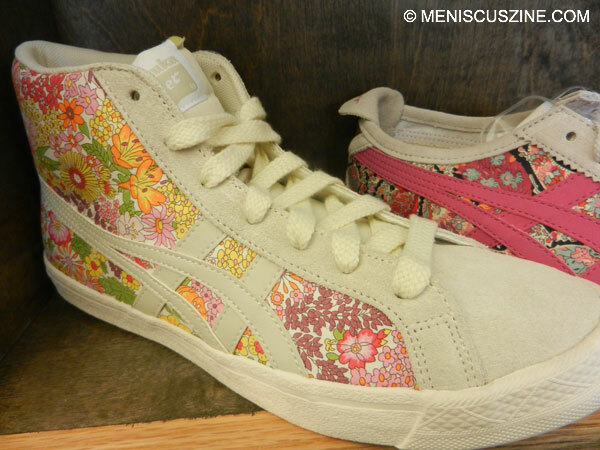 Onitsuka Tiger continues its collaboration with Liberty of London for Spring 2013. Another modification is the conversion of signature sneakers into canvas shoes that double as slip-ons. A thin piece of cloth at the heel allows for the shoes to be worn two different ways. Slip on, slip off: Canvas shoes that can be worn two ways. 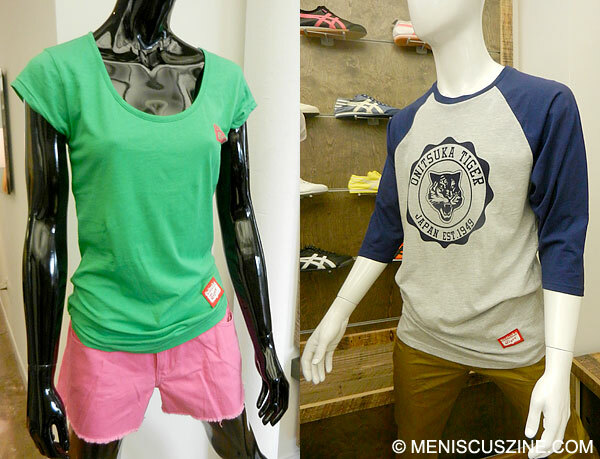 Finally, a new offering this season is the debut of Onitsuka Tiger apparel featuring the traditional logo in various casual pieces for men and women. 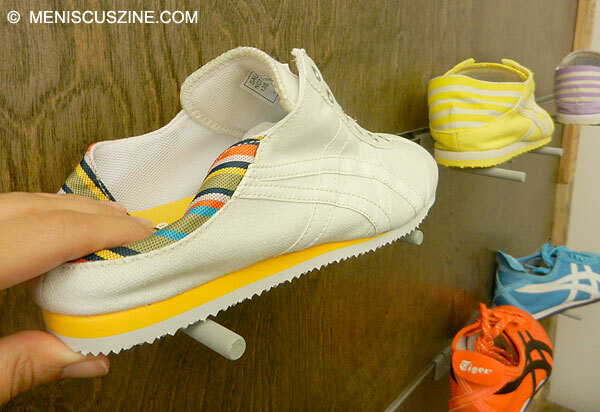 Onitsuka Tiger makes its casual apparel debut in 2013.